The situation reminded me (as many things do) of a Seinfeld episode, specifically the one where Kramer gets banned from a grocery store after demanding restitution for a bad mango. Of course, in my case it wasn’t a store, but rather McCarran International Airport in Las Vegas this past Friday which locked me out. My crime? Flying VFR, apparently. We were starting our descent when L.A. Center handed us off to a Las Vegas Approach controller who summarily announced that we were not going to be able to land at McCarran and please say request. 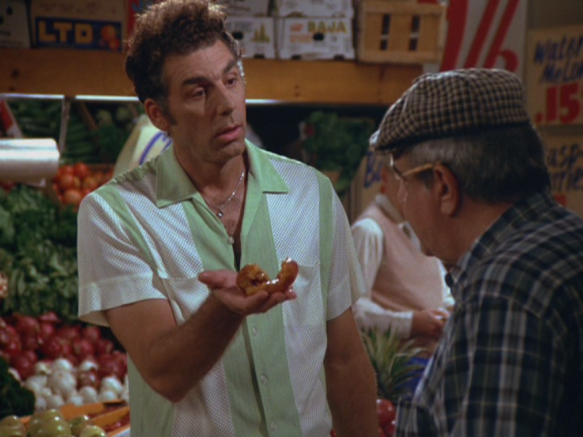 Oh, and remain clear of the Bravo. The tone in his voice made it clear this wasn’t a negotiable point. Request? I’d like to ask you to repeat that, Approach, because I checked NOTAMs, TFRs, and paid special attention to known delays going into McCarran and found nothing. Okay, I didn’t actually say that, but it’s what I was thinking. I used to live in Las Vegas and have alighted there on literally dozens of occasions, mostly weekends (and frequently holiday weekends at that). I know as well as anyone that Fridays are busy there even during a normal weekend and was prepared for a logjam at KLAS since not only was it Veteran’s Day, but the big Pacquiao vs. Marquez fight was slated to take place at the MGM Grand on Saturday. What surprised me was the way they slammed the door on any non-IFR traffic. In 14 years and 6,000 hours of flying, I’ve never been turned away from a public-use airport without so much as a hint that there might be a problem. Well, except perhaps for the days after 9/11 when that ridiculous “enhanced Class B” airspace concept was first tossed at us by the FAA. Boy, talk about the left hand not knowing what the right hand was doing. Government at its worst. Anyway, I asked the controller if there was anything published that I might have missed, and he replied in the negative. He said that the controllers were surprised as well, but VFR arrivals into McCarran were not allowed and wouldn’t be for the rest of the day — if not the whole weekend. 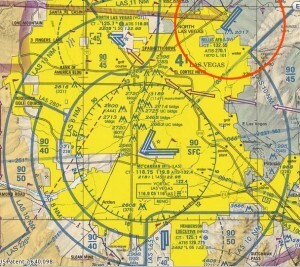 Apparently the straw that broke the airport’s back was a flight restriction for the annual Nellis AFB “Aviation Nation” airshow. 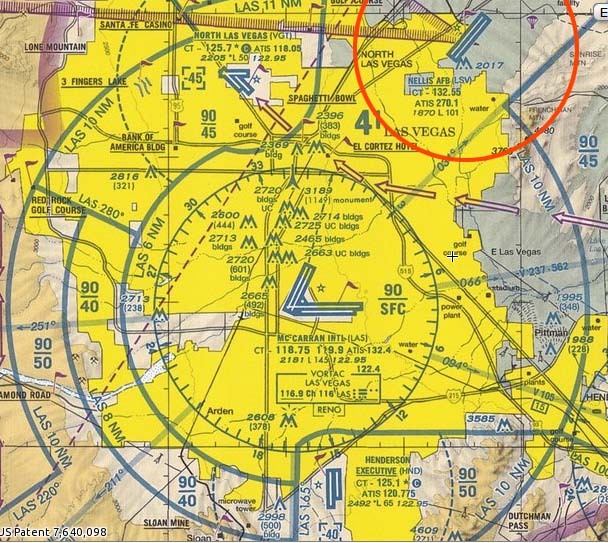 While I saw the TFR and knew we wouldn’t have to fly through it, I’d neglected to think about how the flight restriction might affect arrivals into McCarran. As you can see from the terminal chart snippet, aircraft arriving on runways 19L and 19R head right toward the TFR on downwind. I’ve never been vectored that far north, even in the Gulfstream IV, but I suppose it could freak out the Nellis air boss to see a constant stream of traffic headed toward his protected airspace all day long. I’ve seen much tighter airspace situations for other airshows (San Diego Lindbergh Field during the Red Bull Air Race comes to mind), but then they didn’t ask for my opinion. Evidently, the restricted airspace had more or less shut down approaches to two of the airport’s four runways, meaning general aviation traffic had to share with the Big Boys. Cutting half of Las Vegas’s runway capacity on a holiday weekend? Brilliant. Next strategy: how about a pop-up IFR clearance into McCarran? It’s fortunate I wasn’t expecting that to yield any fruit, because it didn’t. By now I’d wasted enough of this controller’s time and threw in the towel, telling him we’d divert to Henderson. After an uneventful landing there, we noticed that the ramp was unusually full, and not just with the typical GA traffic. There were plenty of Gulfstreams, Falcons, Challengers, and other high-dollar jets camping out in the boonies as well. It was rather difficult to even find an open space on Henderson’s expansive ramp. In retrospect, landing in Henderson probably saved time. I called for a cab while on approach to the field and it was waiting there when we landed. On a weekend like this, the six mile taxi cab ride to the Strip was undoubtedly more efficient than the huge pattern, two mile taxi, quarter mile van ride, and taxi stand delay we’d have had to endure at McCarran. Not to mention cheaper fuel and no ramp fees to fork over. I’m headed back on Sunday and wonder if Henderson might not be the most efficient way to go regardless of whether they’re accepting VFR arrivals. Sure, I could file IFR, but flying instruments takes so much longer and would probably involve some sort of “flow” delay before takeoff. On the other end, the wait to depart from McCarran (VFR or IFR) can be extensive even when all four runways are operating normally. 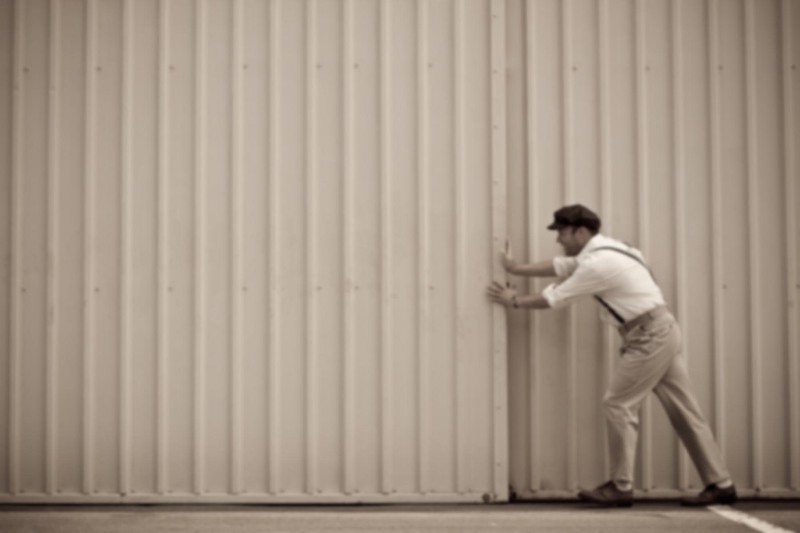 Just getting a clearance often takes 20 minutes. 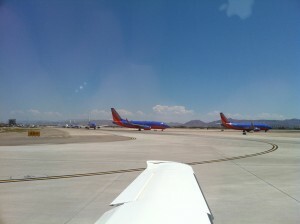 I recall a day last summer when I flew to McCarran in the same aircraft. We sat there baking on a 120 degree taxiway for 45 minutes like some sort of composite casserole in the oven, cooling our heels in a mile-long conga line of bizjets watching the oil temperaure creep higher and higher — eventually reaching the red line just as we received our takeoff clearance. The oil temp actually cooled off (due to increased oil flow at higher RPM) once we departed into the scorching heat. Yes, Las Vegas plays hard ball. Even if you never step foot inside a casino. I flew into Las Vegas for three years running. I never bothered to land at McCarran because after five years of the Southwest cattle cars I knew that the taxi stand line, or shuttle to my rental cars were another twenty minutes on my trip. At Henderson I walk into the terminal from the ramp and in less than fifteen minutes I am walking out the other side to my rental car, fuel order in and everything signed for the car. There’s nothing better at McCarran. Henderson is definitely a good alternative. I’m partial to LAS for some reason, maybe because I’ve been there so much. It almost feels like a second home. But then again I’m not footing the bill for these trips so money isn’t much of a factor. Convenience and location are important, and there’s a panache to a McCarran arrival that you don’t quite get when landing at Henderson. On the other hand, HND is a little less remote with each passing year due to the city’s growth. If they build that new international airport near Jean, HND might actually become the closer airport!